Ishqbaaz is now-a-days one of the most popular shows of the small screen. The show is quite popular amongst the young audience because of the fancy clothes and the young star cast. One of the star of the show that plays the lead role of 'Shivaay' aka Nakuul Mehta is one of the most popular and handsome actors of the small screen. He rules the hearts of many and his pictures on the social media platforms are a proof for the same. He is one of those stars who looks good in everything and anything he wears. He can rock anything be it a casual look or a formal attire, he can make you go weak in the knees. We recently got our hands on some of the pictures of the actor sitting on the stairs of the Underground Station in UK that just made us go wow. Suits > Night suits That's me #AVTA2017 ready. Style & Suit : @primaczar Embellishment : @shivanishirali Massive thanks to the awesome crew at Prima Czar & Neeraj Bhai! Spent the better half of yesterday taking over the insta stories of @officialhumansofbombay whilst doing what I do on a regular day at work. For anyone who is not aware of the phenomenal sharing which happens on HOB, I strongly recommend you go and follow this handle. Inspiring & heartwarming stories from the lives of an average Mumbaikar. Big chops to the silent warrior of this fantastic platform --> @karimehta05 for lending an ear to the very many stories all of us have hidden within us even amidst the hustle & bustle of our everyday struggles. Shaving creams to cost more courtesy #GST . Guess the beard has gotto stay. Hope that's not troubling you guys too much? 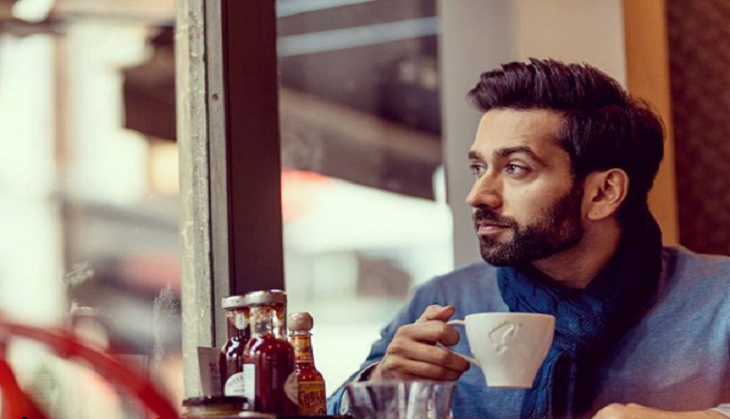 Looking at the pictures of Nakuul, it seems as if the actor loves to pose and get clicked. In a recent interview given to Hindustan Times, when he was asked about posing he first said that he was bad at doing all this but when he was asked to do so, he did like a boss. Nakuul was a theatre actor until he got his TV debut with Star Plus’ daily show Pyaar Ka Dard Hai Meetha Meetha Pyaara Pyaara opposite Disha Parmar. Later, he was given the opportunity to act in Ishqbaaz and after that his character of Shivaay became the favourite of everyone.